ThemeParkMama: Love Lalaloopsy? Save the Dates! 10/4 -- To get you in the Halloween spirit, the spooky Lalaloopsy episode “Knick Knack Knock Knock," will premiere on Nick Jr. Don't miss the action as a mysterious Ghost Dog leads Bea into a spooky mansion, where she meets Scraps Stitched 'n Sewn - who looks scary but is actually just shy. 10/14 -- Lalaloopsy Babies DVD hits stores! 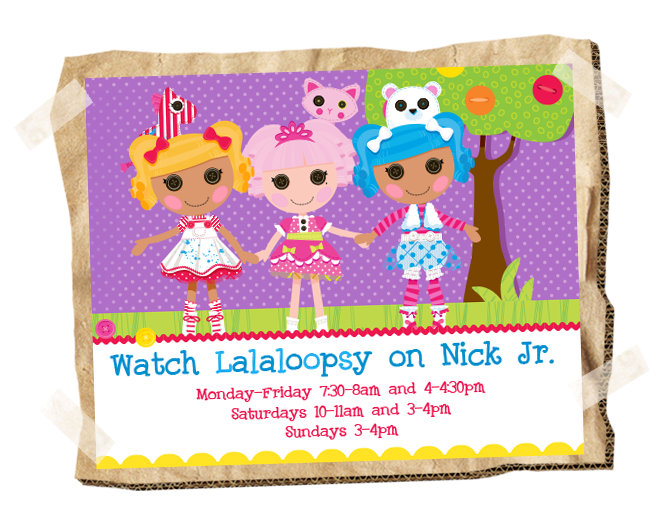 Lalaloopsy Babies premiered #1 in its timeslot on Nick Jr, so we know it's one fans will want to own!